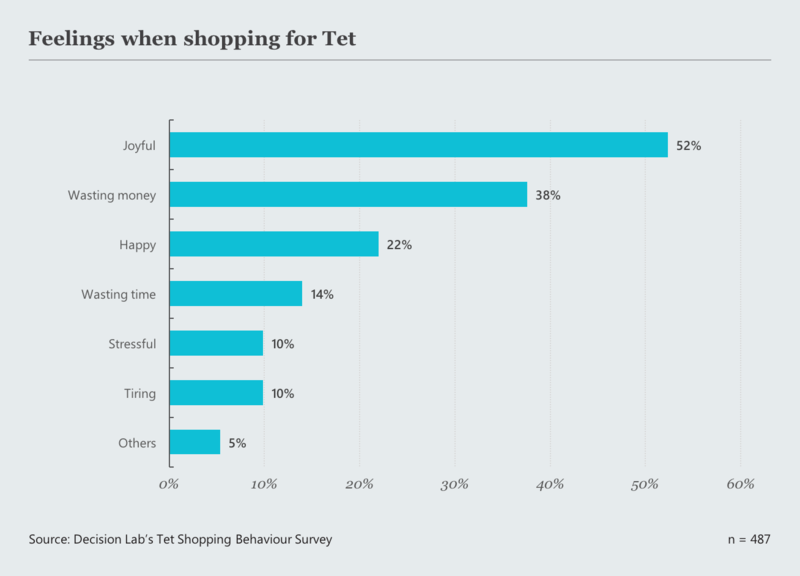 While sentiment towards “Tet” is cooling, it seems Vietnamese consumers are still in love with shopping for it. For many brands, it’s their one time of the year to stand out and capture market share. 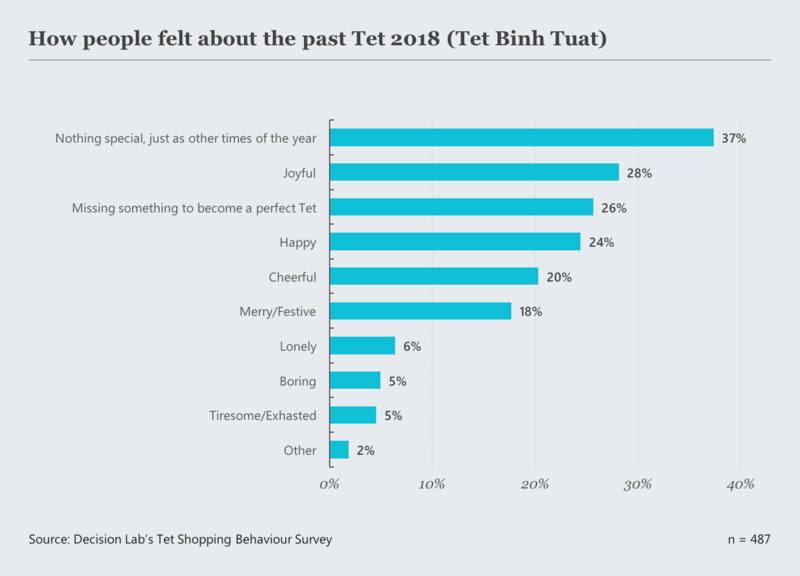 A survey by Decision Lab has asked Vietnamese shoppers in Ho Chi Minh City and Hanoi to describe their feelings towards Tet 2018 as well as their shopping habits around the annual celebration. In response, one third said that their last Tet was either ‘nothing special’ or ‘just another time of the year,’ while another quarter shared that ‘there was something missing’ about it. In terms of purchasing intent, the top ‘must-have’ items at Tet remained familiar. Heavily-branded staples like beer, processed meats including sliced bacon and carbonated soft drinks like Coca-Cola, were all chosen by close to two thirds of those who took part. Similarly popular, each at around 50%, were classic Vietnamese luxuries ideal for gift-giving including box sets of candied and dried fruits, nuts and baked-goods like cookies. When it came to where people shopped for these items, despite huge growth in online shopping across the economy, in this survey centred on Tet, brick and mortar outlets dominated. 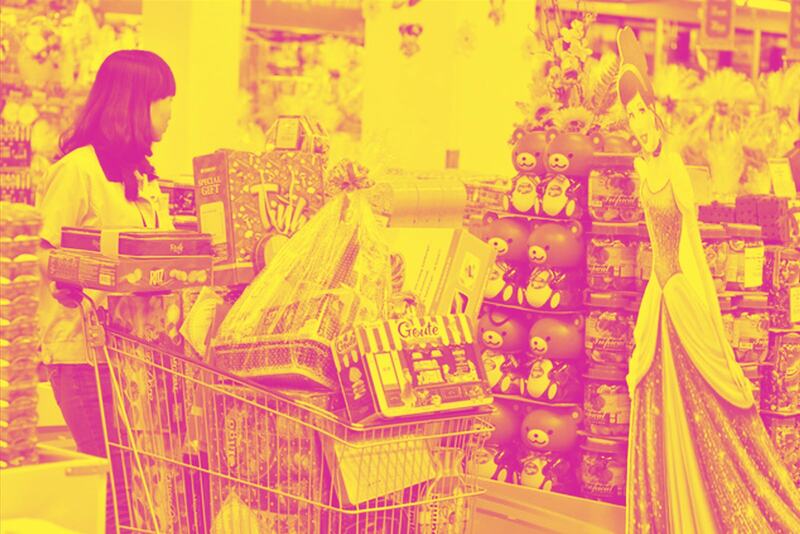 Specifically, the supermarket appears to have a stranglehold on spending at this time of the year, with almost 90% of respondents saying they would consider shopping in one this Tet. The traditional or wet market, home to everything from fresh seafood to children’s clothes, was the second most popular channel, at close to 60%. 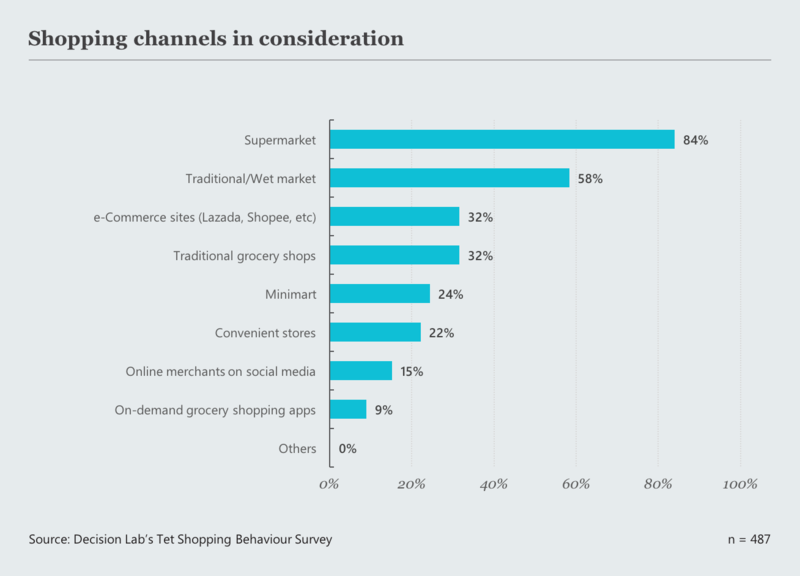 E-commerce platforms like Lazada or Shopee can also be said to be cementing their relevancy as a channel with 32% of respondents saying they would consider buying from one, a number that marginally exceeded traditional grocery shops. 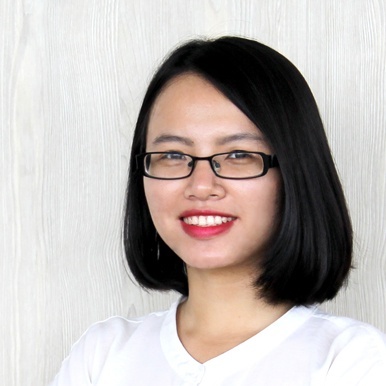 Other online merchants that have gained attention in Vietnam recently, including on-demand grocery shopping apps, were also showing up as an emerging alternative. 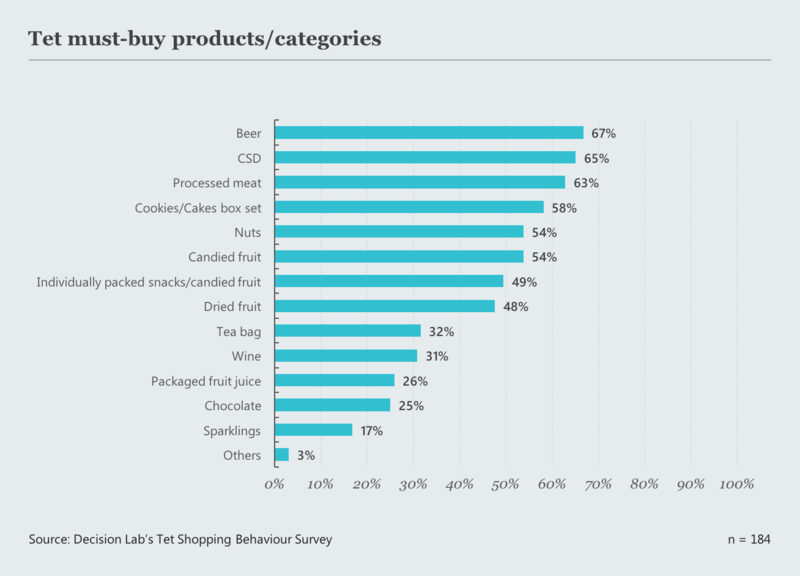 Aside from confirming that the Joy of Tet still exists and that the cultural ritual of shopping is alive and well, we think that the survey data highlights the importance of getting packaging right at this time of the year. When you’re in that crowded retail shelf space, which as the research suggests, is where the majority of the most popular Tet gifts are still being purchased, you need to stand out - and make a connection quickly. Even as e-Commerce becomes more mainstream at this time of year, which we believe it will, whether it be online or offline, packaging and product imagery needs to be triggering enough to literally stop consumers while they’re browsing and ultimately get them to purchase - as if on impulse. Decision Lab’s Pack Decider can help your brand pick the winning packaging for Tet. Read more here or reach out to us for a free demo.